One of Kenya’s many ‘milk bars’ (photo credit: ILRI/Dave Elsworth). Training of milk vendors in Kenya’s informal dairy sector could be a pathway to progressively bring the informal sector under the food safety regulatory systems, says a new study by scientists from the International Livestock Research Institute and the International Institute for Development and Environment. The informal dairy sector in Kenya contributes to nutrition security, health and livelihoods. However, concerns over milk safety have seen the sector de-legitimized. Training and capacity-building of those operating in the sector has the potential to deliver on multiple development outcomes, over and above improved food safety. The study, which is published in Global Food Security (September 2018), examined the incentives and challenges to operating in the informal dairy sector in two urban areas in Kenya (Eldoret and Kisumu) and the perceived benefits and socio-economics effects of training. A survey of informal dairy vendors and testing of milk was also carried out in the two regions to assess milk safety and handling practices and their relation to training. It was noted that the informal dairy sector in Kenya is an important source of livelihood opportunities, especially for women. Training of milk vendors improved sales, reduced milk losses and helped expand the businesses of vendors; however, the long-term effects of training on milk quality are not evident. Accessibility and clear incentives to participate in training could maximize impact and sustainability. Based on this qualitative assessment, it is recommended that rigorous scientific studies be conducted to confirm and measure the magnitude of those impacts on health, nutrition and societal outcomes derived from training and capacity building activities in the informal dairy sector. Alonso, S., Muunda, E., Ahlberg, S., Blackmore, E. and Grace, D. 2018. 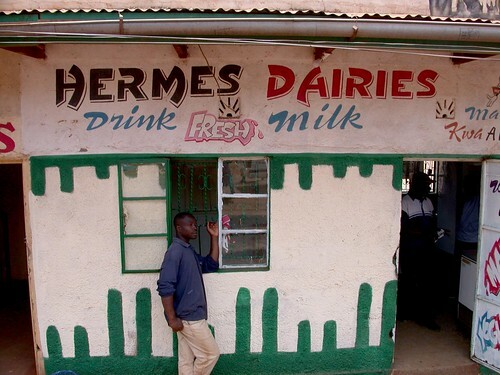 Beyond food safety: Socio-economic effects of training informal dairy vendors in Kenya. Global Food Security 18: 86–92.